Hello from the Wine Tastings Guide! This is The Poor Man's Guide to Fine Wine, a monthly newsletter on all things wine and your guide to finding great wine at affordable prices! Each issue brings you articles about goings-ons in the world of wine as well as reviews of inexpensive wines. If you like this newsletter and our website, please forward this email to someone you know who enjoys wine or wants to learn more about wine and wine tastings. If this was forwarded to you and you like what you read, you can subscribe to The Poor Man's Guide to Fine Wine for free now. If you have suggestions, questions, article requests or comments, please contact me -- I love to hear from my readers! You know how life gets. Well mine has got so that I haven't sent out a newsletter for some time! I've got tons of notes on many great inexpensive wines that are just waiting to be written up. So this issue is to help me catch up. Below are a bunch of new tasting notes. More will be coming soon, I promise! Cheers and Happy Mother's Day! A wine I don't particularly recommend. Well made, simple and tasty wines that I recommend. Excellent quality. Worth an extra effort to search out and enjoy. Outstanding wine of the highest caliber. Either a wine that is close to deserving a higher score or a wine that may not be showing that much but with the potential to move up in quality with further aging. A young wine that may be closed up or shows potential for significant improvement. Assuming it opens and improves with additional age, it may merit a higher rating. Flawed bottles or wines that are difficult to assess for any number of reasons. Judgement reserved. Again, Champagne isn't cheap. But Champagne of this quality at $60 is really quite a bargain in this day and age. Its sick. Even thought the world economy is tanking, prices for the best Champagne, Bordeaux and Burgundy just go up, up, up! I don't get it. But it is great small growers like this one that keep it real for the rest of us. As the Extra Brut label clues you in to, this is a low dosage wine. Which means that some people will love it, and some people will hate it. The reason? Because when the dosage is added to Champagne there is a variable amount of sugar added to it. Many traditional wines are in the Brut range. This is even drier. For those that like the sweet, round, juicy types of sparkling wines, this may be horrible. For those who appreciate clarity, precision and terroir, this might be like a breath of fresh air. The wine is intense and mineral, a laser-like focus of stone-imbued Chardonnay fruit which is at once silky and powerful. No, there isn't the plush, sweet roundness you might have come to expect from some Champagnes, but there is serious personality and verve in this wine. I could go on. If you know Chardonnay, definitely think in the Grand Cru Chablis range rather than the California Chardonnay. Is it the best Champer in its style? No. But for $60 or any price it is a beauty. Two Stars Plus. I'm sorry for presenting this wine to you. Not because it isn't good. But because it is so rare. Yes, the price is reasonable, if you can find it. But from what I can tell only a handful of cases of this stuff make it to the US each year. 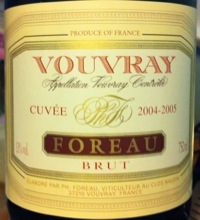 Foureau is very well known for their Vouvrays, but they apparently only make a small amount of this sparkling Vouvray. The aromas to this are intriguing. It has an almost funky melon aroma to it. By that I mean that its almost like fruit that is really ripe and starts to get a bit mushy and has an almost umami note to it. In the mouth this is quite full bodied and powerful for a sparkling Vouvary. Most tend toward the lighter, ethereal end of the sparkling spectrum whereas this has an almost Champagne-like depth and power. 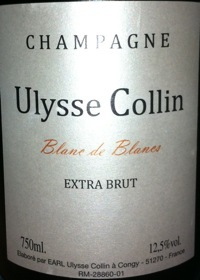 This is outstanding and as good as Champagnes 4 times the price. Its only downside is that its finish is a bit short. But that is splitting hairs. Unless you drink it alongside Salon you are not likely to notice that you are slumming it. 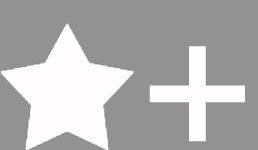 :) Two Stars Plus. Savigny-les-Beaune is a village in Burgundy's Cote de Beaune that is known for its red wines. And Bize makes some of the best. Up there with Pavelot, Guillemot, Leroy and others, Bize makes sensual and elegant wines that still retain the classic Savigny rustic, meaty character. But wait! This ain't your typical Savigny! This is white! Holy Moses! How could it be? 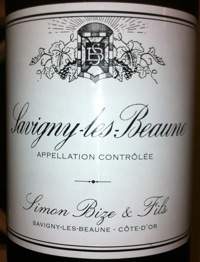 Well yes, a small amount of white Savigny is produced and Bize's is probably the best. Even less influenced by oak than his red wines, this white Burg is pure and fresh with lovely honeydew, grapefruit, lemon ring and orange seed nuances on the nose that betray a wine that is natural and unadulterated. And so it is on the palate as well, fresh, energetic citrus and tropical fruits cascading across the palate while being held in check by taut citrus acid and chalk minerality. This is seriously good stuff. A real, honest and classic white Burgundy from the most unlikely of places. Does it taste like white Burg? Yes! Does it taste like Puligny or Mersault? Not quite, but the differences are in the soil, not in overall quality. This is a great introduction to white Burgundy and a delicious wine. Given the current state of fine Burgundy prices this is an outright steal! Two Stars. I've reviewed this great value Gruner from Austria in the big 1 liter bottle before. It has always given a lot of pleasure for the money, but I think this may be the best vintage I've had yet. A big fruity Gruner nose jumps from the glass showing pineapple and pine. Shimmering and bright, this is a bit more full bodied than the last vintage but still maintains that crisp, leafy (almost basil? ), herbal brightness to the tropical fruit flavors. 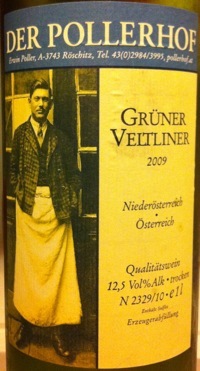 As Gruners often are, this is great with almost any food you can throw its way. Just a great value for a big bottle of deliciousness. Two Stars. I've rated Dönnhoff wines many times before. If you are still not experienced in the way of Donnhoff, you owe it to yourself to go out and buy some. Buy any bottle. Just do it. You won't be disappointed as Helmut is one of the finest winemakers in the whole world and just about every one of his wines is glorious. 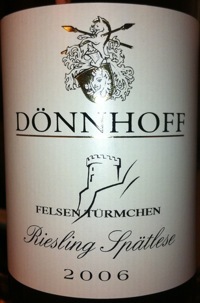 This wine is a limited production from a sub-plot of grapes in the famous Felsenberg vineyard. Despite how good the regular Felsenberg can be, it often lacks some of the elegance and fine breeding of the best vineyards in his stable. This plot is an exception however. This has an undeniably great German Riesling nose that reminds me of a Prum Wehlener Sonnenuhr with its smokey, slate, gunflint minerality. It also reminds me more of the Hermansholle than the regular Felsenberg in terms of its profound and regal minerality and fine texture. In the mouth this is just delicious, creamy and rich but with super-finely etched, filigreed slatey and chalky minerals. This is an awesome Spatlese, probably only surpassed by the Hermansholle in 06 at this address. Can this wine be better in the best vintages? Maybe, but I think that is splitting hairs. 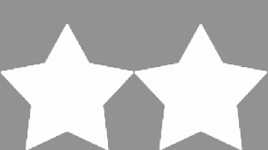 This is Three Stars to me any way you look at it. This is an older wine, not one you'll likely find in stores now. But I offer it as a look in on the evolution of this wine from a vintage that was not quite typical. I've reviewed the wines of d'Epirè in the past. Although wines from this domaine in the Loire valley from good vintages can age and improve a long time, I was a bit skeptical about how this wine would perform now pushing 9 years from the vintage. 2003 in much of France was scorchingly hot and tended to produce wines that were big, ripe and up front when young but lacked some of the midpalate depth and structure to make old bones. Many wines I've had were either simply too hot and alcoholic and flabby or were ok young but then faded fast. So would a Savennieres, which usually starts out life tight and fully of mineral intensity, be able to make a successful wine in such heat? I shouldn't have worried, this wine is fine. I'm not saying it isn't marked in any way by the vintage. This is rather round and ripe for a Savennieres. However, in the nose there is nothing of concern. I was worrying I might find that roasted over-ripe fruit or even early oxidation but this still has a freshness to it along with a mineral component. The fruit certainly is ripe with strong apple component, maybe even a cooked apple. In the mouth this is round and rich with hints of spice like nutmeg, cinnamon and mace but with enough acid to keep it well balanced. This is very much alive and very tasty. This is ready to drink. Will this get any better? Probably not, but I wouldn't be surprised if this went on another few years. Beyond that it is hard to say but I'm impressed nonetheless. Luckily I have a handful of other bottles in the cellar to check in on over the next several years. Two Stars. This has been an "off-the-beaten-path" cheapy that has performed well the last several vintages. This one has a new funky bottle similar to some Provence rosés. This one has a chalky minerality to the nose as well as a juicy honeydew melon and orange. The palate is not your typical flabby, juicy inexpensive white, this one has a bitter orange zest and seed note to the flavors that give complexity to the orange juicy, wax and white melon fruit. Refreshing and pure, this is a great value with just enough personality to make it pretty special and rare in this price range. Sometimes "lowly" grapes like Picpoul make enticing wines for a great value. Giacosa is of course a monster in the world of wine, and arguably THE monster in Piedmont in the north of Italy. While the wines of Barbaresco and Barolo are the most famous and sought after (and the price reflects that! ), there are a few inexpensive wines in the stable. If you haven't tried the red Dolchetto or Barbera's (particularly the one from the Falletto vineyard), both of which I've reviewed in the past, you owe it to yourself to try 'em. This is a white grape and is his only white still wine that I know of (he does make a sparkling wine too). This is one of those wines that while not a monster or the most complex wine you'll ever have, everything is just in the right place and it seems like a pure expression of nature. It is quite aromatic. Smells like apple sauce and flinty minerals! There is a waxy flavor but not in texture. It remains crisp and mineral with apple, pear and quince-like flavors. Very refreshing and just simply tasty and delicious. Two Stars. Macon is an appellation in the south of Burgundy, down below the Cote d'Or. The grape here is Chardonnay, like its more famous Burgundy relatives to the north. 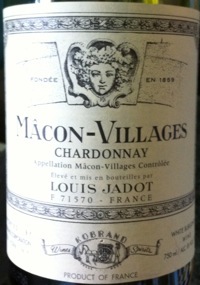 And of course Jadot is a well respected and widely available producer. Tropical fruits like papaya, honeydew and other melons are graced by some chalk in the nose. A nice rich creamy texture but the flavors are simple. At the same time full in flavor, but there isn't much complexity to the flavors. Just enough acid and minerality to keep it balanced. And a citrus tang at the end bumps up the freshness and vibrancy. This is not a wine to hold onto a long time. But for a simple but representative white Burg at a good price, this is nice to drink over the next couple years. One Star. Along with Pepiere and others, Luneau-Papin is making some of the best Muscadet right now and his top cuvées like this one can be stunning. From an old vineyard based on igneous rock and picked by hand, this wine may not be cheap by Muscadet standards but by just about any other standard it is still inexpensive and a massive bargain. My eyes were opened the second I put my nose in the glass and I said "Ohhh!" out loud. This smells great with a ripeness that is not typical to most Muscadet but yet still with all the mineral and chalk that you'd expect as a backbone for good Muscadet. Evokes flowers and honeysuckle, even a bit Muscat-like. This is somewhere between a Muscadet and Pouilly-Fuisse in flavor, with the focus and energy of Muscadet but with a bit deeper, more ripe tropical fruit flavor. Despite this rich flavor it remains well put together, suave and subtle with a fine etching of granite, lemon zest and seed, chalk and acid woven throughout the wine. Really quite succulent and delicious with lots of little subtle complexities that entice you. This is probably the best Luneau-Papin I've had to date and is just simply outstanding at this or any price. Two Stars Plus. 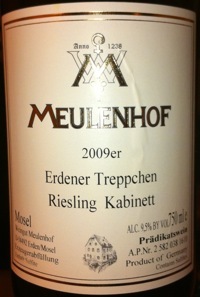 Muehlenhof is an excellent producer of Erdener Treppchen Rieslings and this is no exception. And 2009 is a very nice vintage in Germany. Initially there is a fair amount of sulfur on the nose but it blew off quickly to reveal a slately minerality with a lemon and orange zest fruit component. 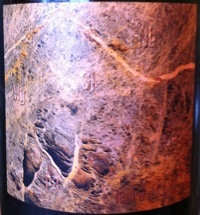 This is crisp and firm with vibrant, nervous energy and slate minerality. This isn't the most taut and mineral kabinett but its not a typical "modern" ripe kabinett. It has that bright, refreshing verve you'd expect (and enjoy) from a Kabinett. Quite an outstanding value for the price. Two Stars. Pepiere has been hitting home runs with his single vineyard Muscadets for years, particularly the Clos Briords and the Granite de Clisson. 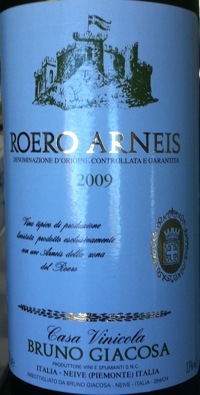 This is a newer bottling that he has only produced in a few vintages so far. Compared to the Clos du Briords which is on granite-based soil, this is a touch less mineral, more chalky, softer in tone, compared to that sharp, edgy granite of the Briords. It is also decidedly citrus with pretty orange zest and essential oils. Crisp and clean, the fine minerality is more subtle, acting like an accent to the waxy, rounder texture and citrus flavors, rather than being center stage. Much like the Le Haut Lieu of Huet's Vouvrays compared to the Clos du Bourg. May improve with a bit of age. This is an incredible value, like most of Pepiere's wines and is definitely a worthy addition to his stable of fine Muscadets. This won't live as long as the Briords from most vintages but I think it will be alive and well at 10 years of age. Two Stars. 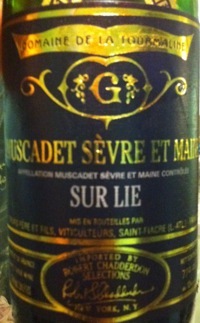 I always like this Muscadet quite a bit. 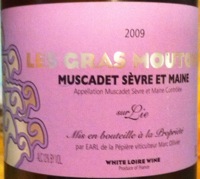 It is not a super cuvée Muscadet the likes of Pepiere's Clos du Briord or Luneau-Papin's wine reviewed above. Those wines often seem to almost transcend the appellation, offering more ripeness, power and depth than most. However, this one is just a classic Muscadet, exactly what you'd hope for and expect from a good Muscadet but still staying absolutely true to what you expect from this appellation. This gives you a vibrant and flavorful wine that compares favorably with wines from other regions costing a lot more. Flavors? Classic sea air and brine, white melon, oyster shell, granite stones… should I go on? I've said it before and I'll say it again, good Muscadet is one of the most unbelievable wine values on the planet. This is delicious. Buy some! Two Stars. 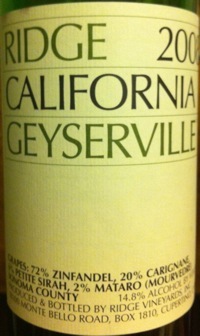 This is a California blend of two "off-the-beaten-path" white varieties. 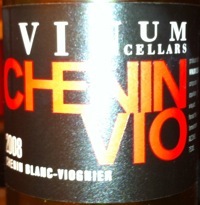 It contains 80% Chenin Blanc and 20% Viognier. OK, these are not "off-the-beaten-path" grapes for this Vouvray and Savennieres lover, but for many "Chardonnay only" types, they might as well be in another language… oh, wait, they are! Fresh and pure, this definitely has characteristics of both distinctive grapes. It has a bit of that waxy, wooly character of Chenin and some honeysuckle and other floral aromas that are very Viognier. In the mouth this is refreshing. It is laking the minerality and acid you would expect from a French Chenin, but there is a nice inner mouth perfume and oily texture. Not terrible complex but for an "oak free" refreshing quaffer this is a nice value to drink over the next year or two. One Star. A typical Mediteranean rose aroma of fresh strawberries, briny sea air and cassis. Simple but fresh and inviting. The flavors are bright and has some creamy fruity texture. 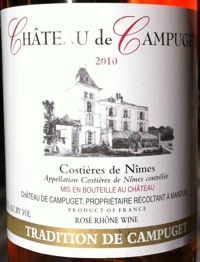 A nice, inexpensive rosé. Considering that a lot of the top rosé wines have gone up quite a bit in price, this is a good value and a no brainer for gulping down on a hot spring or summer afternoon with barbecue. One Star. Valpolicella is a classic red wine growing appellation in Italy's Veneto region in the same area that the fabled Amarone is grown and produced. Although, unlike Amarone for which the grapes are air dried on mats for an extended period before vinification, the wines are made in a more standard fashion. So although these wines do not have quite the concentrated and raisined notes that the best Amarone do, they can have similar flavors as they come from the same grapes. This one is from Allegrini which is a famous producer in the area. The soil, dust and tar inflected nose is quite distinctive and very Italian. But there is a dense core of rich red and black fruits behind them. But have no fear, this is a classic Italian red with ample acid to make it a perfect match to stand up to tangy tomato-based sauces and the like. In fact, this is likely to be quite versatile at table both standing up to some meat dishes with its dark, earthy fruits and fitting alongside tomato sauces and pizza equally well. 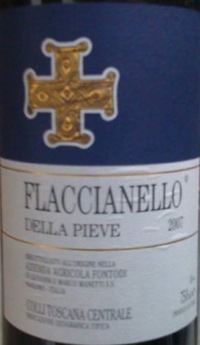 This is a very nice every day "pizza and pasta" wine and at a price that won't break the bank. Two Stars. Lowly Borgogne often fail to impress. However, every once and a while you find a real Burgundy value which surprises toward the upside. This has several qualities that this appellation often lacks. For one, it is elegant. Burgundy is supposed to be elegant right? Well this wine is pure and pretty in every way, aroma, flavors, mouthfeel, etc. 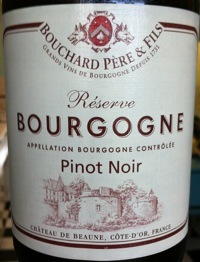 This is a well put-together wine that just glides over the palate with ripe yet fresh and airy Pinot fruit. Is it also the most complex and thrillingly long wine I've tasted from Burgundy? Well, no. It is certainly typical in its somewhat one dimensional flavors and aromas. But whats there is lovely and surely worth the price. Two Stars. 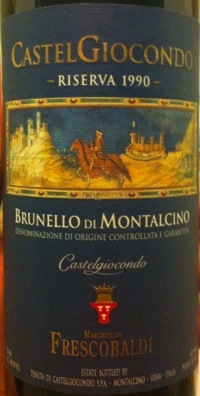 Brunello di Montalcino Riserva 1990 Drink Now-2015 ?? Here is a cellar pull just to check in. I bought this wine years ago shortly after release. Now its nose is getting aromatic with dried fruits, leather and earthy fruit that let you know you are tasting an older Brunello, and a good one. Still somewhat tannic for its 21 years of age, but with a meaty rich and well balanced feel. There is a spicy note to the fruit. This is ready to drink. With time it will hold but eventually start to loose fruit and probably remain a bit tannic and astringent. I'd drink em up sooner rather than later. Two Stars Plus. I present this wine as a contrast. It is quite expensive. While I've presented a couple of great expensive wines in the past, this one is an example that higher price doesn't always mean better. I routinely find wines that are under $20 that deserve Two Stars or even more. Yet this wine, for which I had high hopes (since I've really liked many of Fontodi's wines in the past) was a bit underwhelming. Coming from Tuscany, this wine certainly has some hints that are reminiscent of Chianti with its dusty leather and tart red fruit aromas. It is young at this stage and this is quite tannic. There are rich red and black fruits here with decent depth, but it didn't blow me away. It is a nice, hearty wine. However, for the price, I would hope for a bit more. Now, granted, I may be being a bit harsh as this will likely flesh out with a few more years in bottle. If it does gain some complexity and finesse, it may warrant Two Stars. But for now, I'd give it One Star Plus. The Geyserville is one of Ridge's most famous wines and consists of a field blend of 72% Zin, 20% Carignan, 6% Petit Sirah, 2% Mataro (Mourvedre). While its blend might suggest a wild, sauvage wine because of the more rustic personality of some of the grape varieties, the classic Ridge finesse comes through in most vintages. In the nose, there is a hint of coconut American oak but it is very pretty with brambly wild red and black berries. Ripe in the mouth but restrained and silky like Ridge usually is. 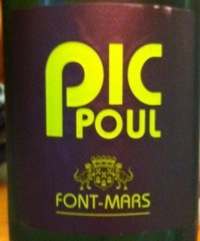 A nice oily texture that is full in the midpalate but remains subtle and integrated and not overpowering or over-ripe. Quite nice, this will improve for some years and could drink well for at least 10 years. Two Stars. 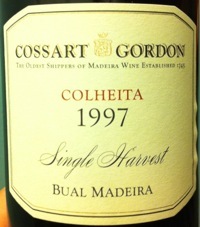 Cossart Gordon makes many outstanding Madeiras and this one is no exception. Bual is on the richer, sweeter end of the spectrum for Madeira, with only Malmsey making a sweeter wine. This is a younger single vintage wine aged in barrel for some time, a Colheita. You are seeing more and more Colheitas from Porto but not often from Madeira. This one is lovely, seriously complex for its meager 14 years of age. I say meager because Madeira is known for aging indefinitely and some of the most famous still being imbibed are from the 18-hundreds! So 1997 is downright infantile. But this one doesn't disappoint. It has a complex nose of smokey banana and spice. It is full bodied and sweet but just sweet enough, not overpowering. It has a nice piney acid to balance it and goes down silky and fine. Frankly, it is hard to fine anything wrong with a Madeira like this. You could drink it early in the night as an aperitif or after dinner as a digestif or even dessert wine. Just a lovely Madeira, full of character, that shouldn't be missed. Two Stars Plus. Have a Reader Tip or a Question? Contact Me! I love to hear from my readers and visitors. If you have a handy tip to share or questions or comments on anything related to wine and wine tastings, please contact me! Looking for Wine or Wine Tasting Related Info? Search our site! You can now search through all of my pages by using our handy Search This Site feature. You can also browse through a site map to find the information you desire. Still can't find what you are looking for? Then contact me! © 2007-2009 Wine-Tastings-Guide.com; all rights reserved.